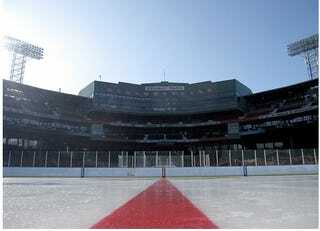 NHL Winter Classic: Flyers. Penguins. Or Bruins. Go. It'd be a shame to neglect hockey fans on their special day. So enjoy the live blog that Melt Your Face Off has going on, and look at Enrico's pretty pictures. What say you, Todd Mc...oh, wait.